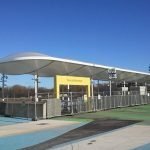 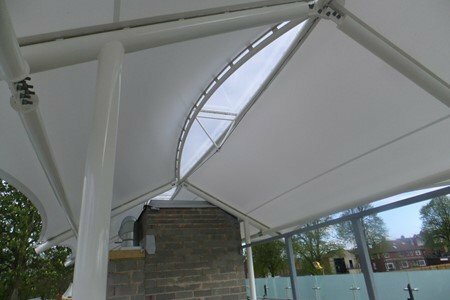 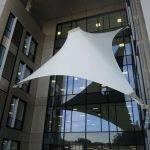 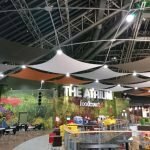 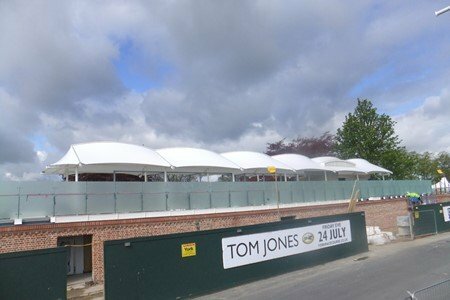 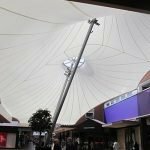 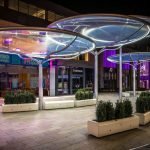 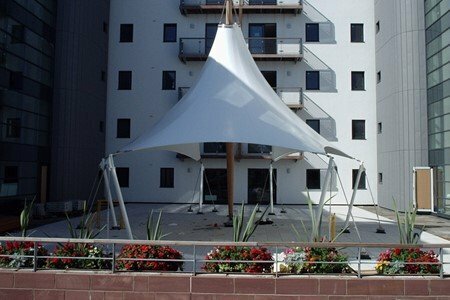 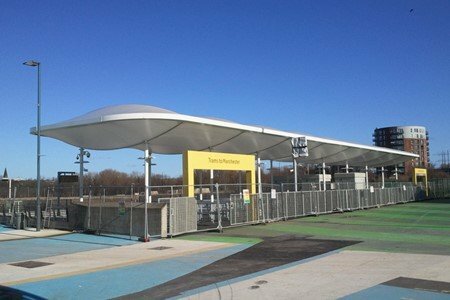 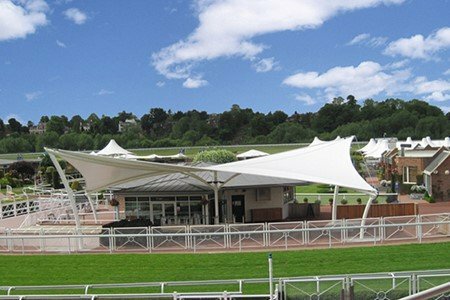 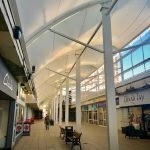 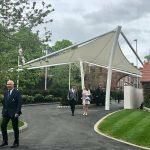 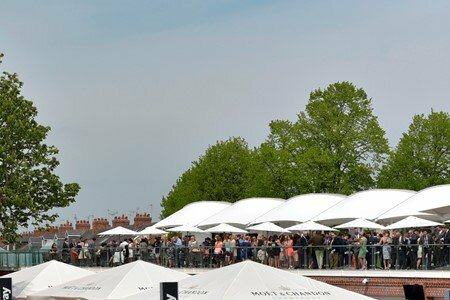 This bespoke tensile fabric walkway, was specifically designed by Fabric Architecture’s in-house Design and Engineering team for the rooftop of York Racecourse Pavilion. 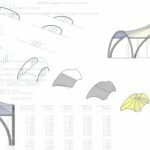 A simple barrel vault form was mirrored to create a gull wing structure that cantilevers out 3m on each side from it’s central masts. 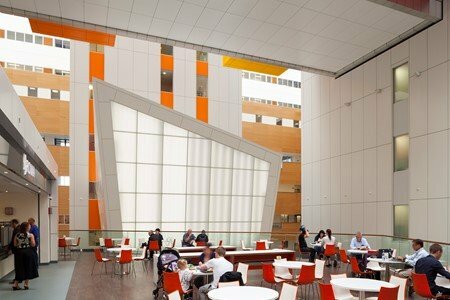 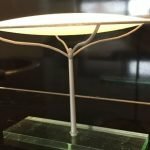 The apertures created in the roof funnel natural light into the structure without the need for integrated lighting. 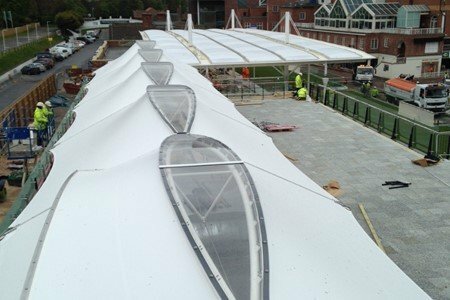 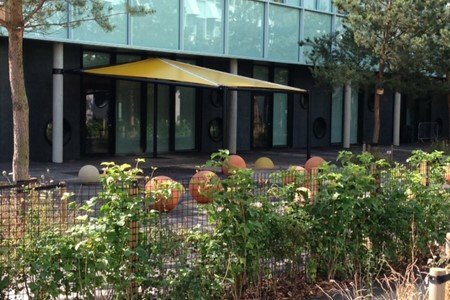 These were covered with ‘teardop’ polycarbonate sections to ensure the walkways provided weatherproof shelter. 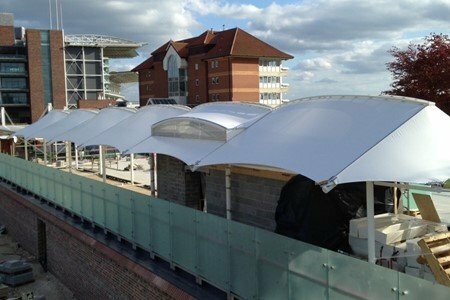 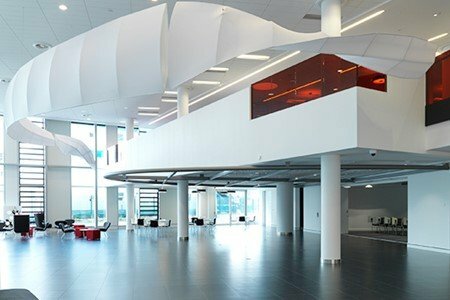 Working initially with Phelan Architects to finalise the general design, Fabric Architecture then liaised with contractors, Lindum Group, to supply loading information for the rooftop installation. 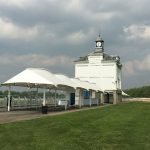 The walkway structures, manufactured in a bright white Type I PVC fabric and matching powder-coated framework, now cover just over 200sqm atop the pavilion building.